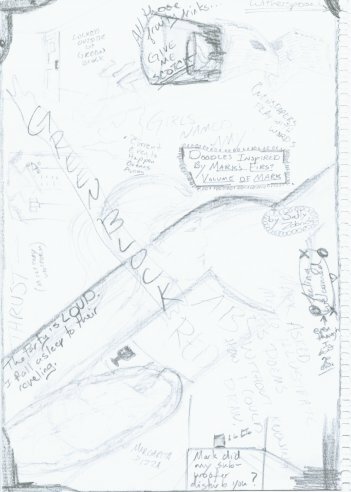 Please view Sally’s ‘Doodles Inspired by The First of Mark’s Volumes of Mark’: here. It is a piece of artwork that needs careful study. Chirnside, Mark. 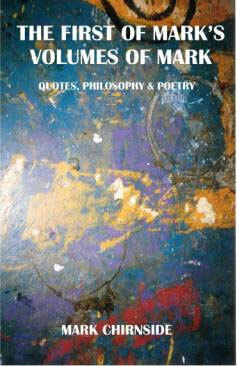 The First of Mark’s Volumes of Mark: Quotes, Philosophy & Poetry. Writersworld; May 14th 2004. 72 pages. Purchasing Information: ready to purchase? Click here. This volume contains a number of poems on a wide variety of topics, from History to Philosophy, and Society to Politics, as well as a good (and sometimes random) selection of thoughts, beliefs and comments  including a number from the author, his friends and colleagues. ‘An amazing work.’  Matt Capon.